This Hunt Test is now full and we will not be able to accept any more entries. Thank you to all. Come to beautiful South Carolina for our spring hunt! Enjoy free time and mentoring in the field on Friday followed by two days of hunt tests with your PBGVs. The Tokeena Beagle Club has lots of rabbits on 25 acres surrounded by dog-proofed fencing on which to hunt. 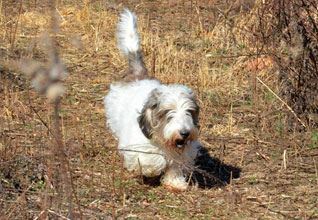 All AKC registered PBGVs are welcome, including those with ILP/PAL listings.